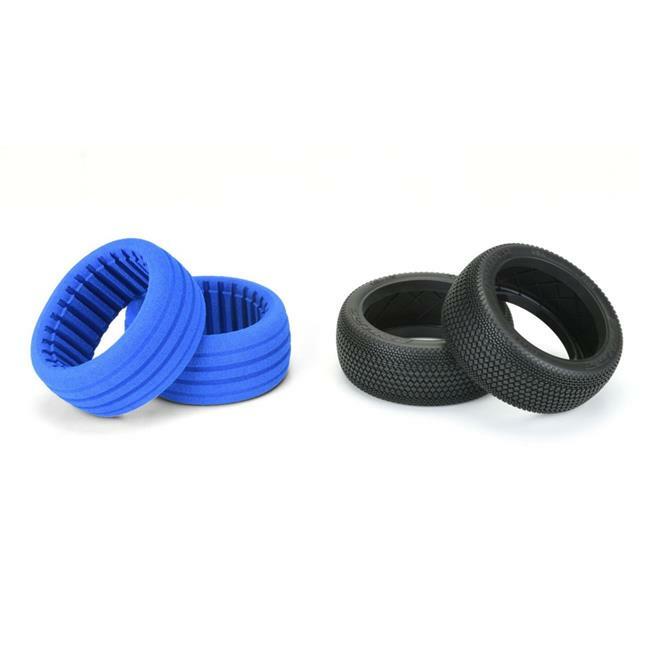 As a world class Manufacturer of bodies, tires, and apparels, Pro-line aims to satisfy RC enthusiasts through cutting edge designs and high performance products. We take great pride in producing quality products and we do not compromise on materials or workmanship in our process. The Invader tire is the next step forward in extreme wear while still providing the fast lap performance you need. The unique interlocking cross-shaped Invader pins, down the center of the tire, deliver the hour-long A-Main tread life racers desire, while the small, flexible pins on the side provide incredible grip on a variety of surfaces. The Invader tire feels super smooth and accelerates and brakes incredibly straight, giving you an advantage in close racing conditions.